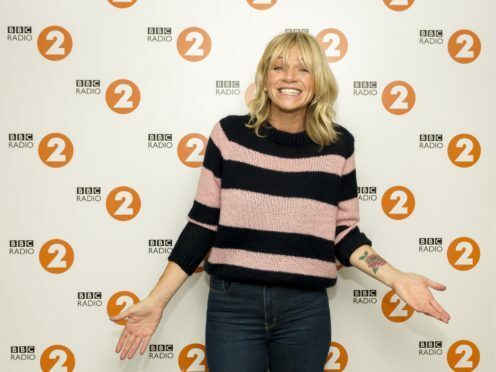 Zoe Ball has said she only has “vague memories” of her Radio 1 days because the 90s were so “wild”. The broadcaster, 48, is taking over as host of the Radio 2 Breakfast Show on January 14, but said having a radio gig was likely to be very different this time. Speaking to Ken Bruce on Radio 2, Ball said: “I only have vague memories of the Radio 1 days because it was quite a time. “I did try to sort of live the life. When Bruce mentioned burning the candle at both ends, mother-of-two Ball said: “I did. I will not be doing that any more, I can guarantee. Ball is replacing Chris Evans on the Radio 2 Breakfast Show. Journalist and presenter Tina Daheley has just been announced as the programme’s newsreader. She joins travel news presenter Richie Anderson and sports presenter Mike Williams. Daheley is known for working alongside Nick Grimshaw on the Radio 1 Breakfast Show and as a regular presenter for Radio 1 and 1Xtra’s flagship news programme Newsbeat. She said: “After 10 years and three consecutive breakfast shows on Radio 1/1Xtra I swore I’d never do it again. “But being asked to take over from my news idol and broadcasting legend Moira Stuart on the biggest breakfast show in the UK with the first female host in its history, it was an offer I couldn’t turn down! Ball said: “I am thrilled to be joined by such a talented trio in the form of Richie, Tina and Mike.